UPDATE: Additional images now available. Development on the S.H. 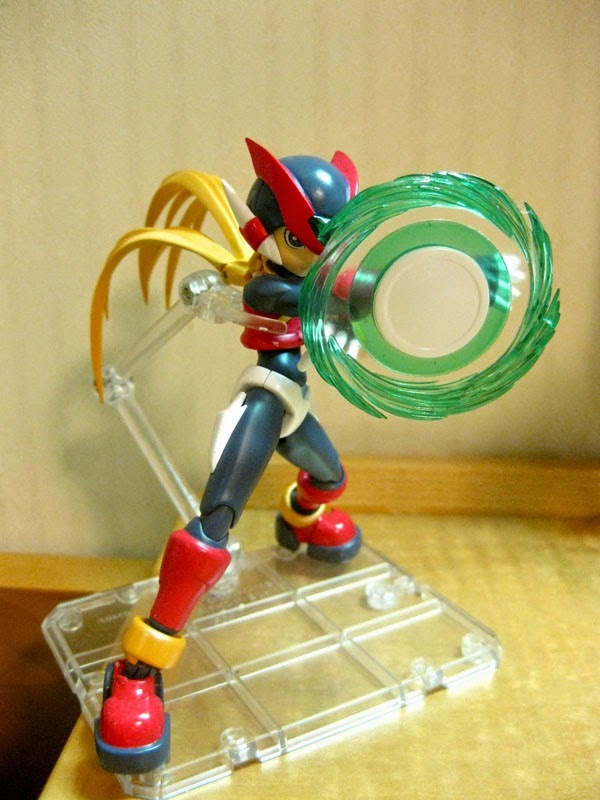 Figuarts figure of Zero from the Mega Man Zero/Rockman Zero series is nearing completion. And over on Rockman Unity, Ucchy brings us fresh batch of images of the final design. He even provides a sneak peek at some of the figure's accessories, which include the Z-Saber, Z-Buster, Triple Rod, Shield Boomerang, and additional hand sets. You can see them all in action at Rockman Unity! 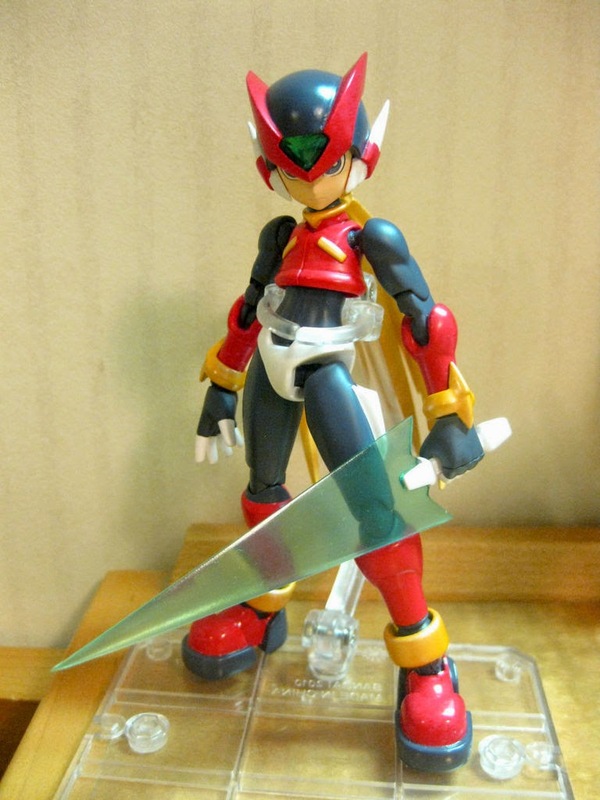 Zero is being released in Japan as an online exclusive figure. Don't be concerned, however, since he should arrive at retail in North America, too. This was the same case with D-Arts Vile and D-Arts Bass. S.H. Figuarts Rockman Zero goes on sale in Japan this October. Details on the North American release should come soon! from d-arts become s.h.figuarts? why? Because the brand wasn't really doing the figures justice. But since they became S.H. Figuarts that means the quality of the figure gets better. The D-Arts were usually hit or misses when it came to how they were made, like they would break easily. D-arts line is dead, everything that would have been a D-arts is now a S.H.Figuarts like Lucario, Alisa,imperialdramon, and Mario. The D-arts line didn't sell as well so I guess this is to fix that plus if Lucario is any indication this could mean they will make anything that was a D-arts better. Morons thought D-Arts meant "bad figures" so Bandai canned the name to get rid of the stigma, even though the two were practically the same anyways. Seems to be working so far, though. this to me just looks all kinds of weird. Great pics! Can't wait for the actual figure! I don't know why, but this figure makes MM Zero look like a baby. 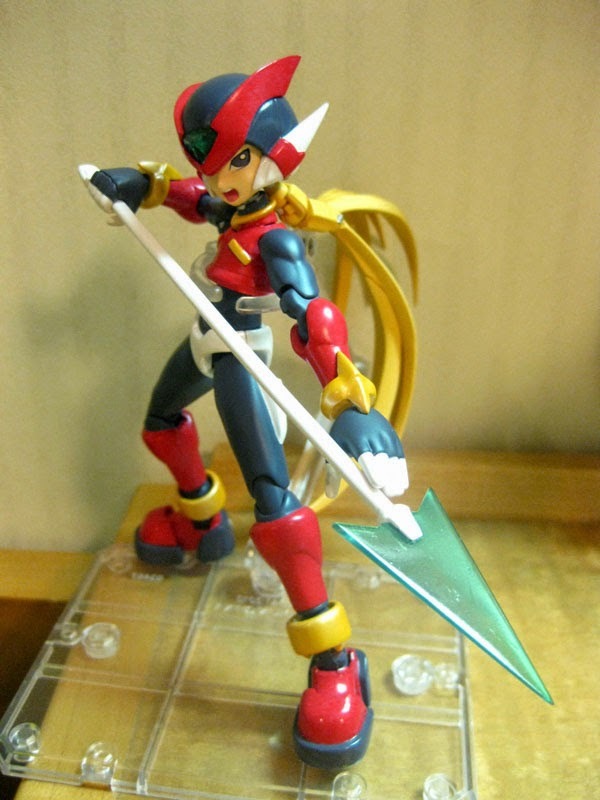 It's less the figure and more the art style of the Zero series in general. Everyone in the series looked like a baby the moment MMZ was artistically conceptualized (complete with even smaller mini-babies... they're called cyber elves). He doesn't normally look like a baby to me, he looks like a robotic being that's stocky (muscular at times) and aerodynamic. In these images he looks like some sort of, I don't know, disproportionate, anorexic, cute faced little thing. I know what its is too. It's the fact that on the figure the appendages on his limbs a too thin, his chest is too small and his limbs are too long (black part of legs) and skinny. Maybe he's just not meant to stray outside of hand drawn artwork and even then I've seen some terrible art, maybe only the original artist can capture the essence. But even in the earlier artwork/designs he still has a longer chest (the pic you linked is an above camera shot) and shorter and thicker in the thigh area. Also the appendages still pop out more, look at the part of his legs around his knees. The only part I'd call baby is maybe his face but he looks more like an alien to me in that area than anything. Anyone who says this figure looks disproportionate must say the same of the original game artwork. This figure is a strong 1:1 w/ the source material. Obligatory nitpick: There is no Z-Buster in the Zero series, sans a translation error that was corrected in Mega Man Zero Collection. This looks great! Much better than the Kotobukiya kit, methinks i'll be setting up a pre-order for this one as soon as possible! Just hope they go on to do more, wouldn't mind seeing Harpuia or a decent Protoman figure! Looks pretty awesome to me so I'll definitely buy this. Just hoping we can get some answers about where the Megaman line is at so far besides Zero. Who's next on being release? Will there be a SDCC Exclusive this year? Are they ever going to release the Ride Armor as they said they would? Will Protoman ever be made? etc. Looks cool but I'm not sure about the mess in the hair, anyway, hopefuly this will be a more strong piece than the hair on the D-arts. Ehhh... I'll admit I like the standard normal face from a slight side angle and that's it. Glad it comes with more of his weapons than the Kotobukiya one did, but why is the center of the shield boomerang a solid white and not transparent as in the rest of the shield and artwork??? And I'm sorry, but as much as the hair has articulation, which I like, but this time it seems like it would of been better without it, or less of it. Mainly the second joint down the hair, it makes look off. Over all it looks like they stretched the body, like seriously. You can see by comparing the shins and chest vest from the artwork to the figure. Artwork shows more bulk and full, and on the figure its more slimmer and stretched. Mainly noticeable in the ankle joints. They stretched the ankle to give articulation, which is good, but done wrong. Same goes for the neck. I knew they would F*** this one up and sure enough it looks like they did. But WAY better than the stupid Jazwares one that's FOR SURE!!!!! But honestly Yama Tai Koku's Zero honestly looks more fulfilling and proportioned than this to me. I will be skipping this. Well, maybe get it just for the weapons.